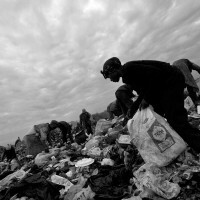 They look for everything valuable: tin cans, electrical wiring, plastic bottles, broken shoes, condoms, milk cartoons, diapers, syringes, wasted food. 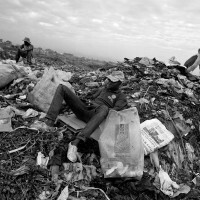 Some of the kids are sniffing glue. 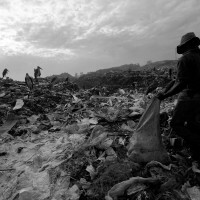 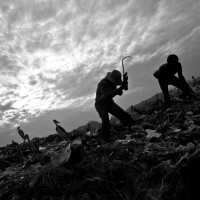 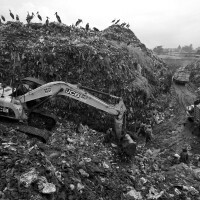 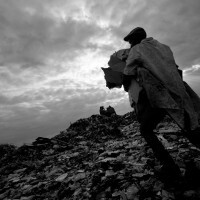 Others plunge in the garbage trying to reach some metal scrap, devouring half-eaten slices of bread, drinking from partly-consumed water and liquor bags. 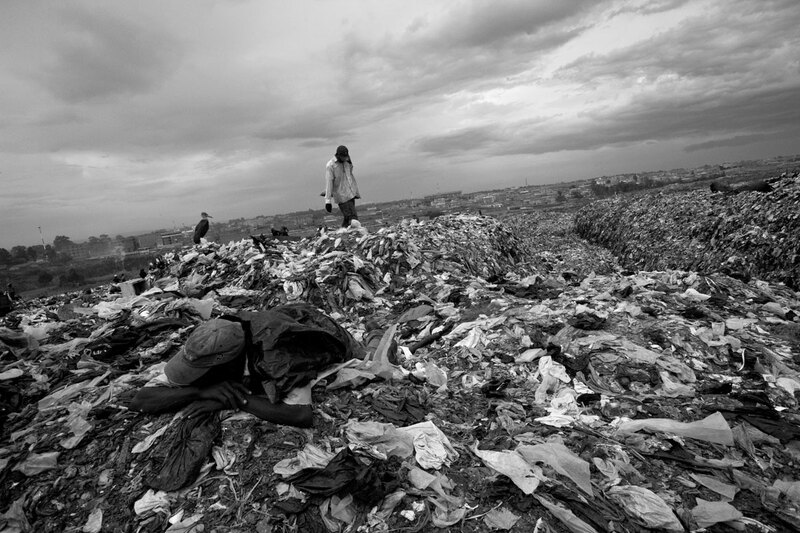 A worn out boy sleeps on a pile of rotten fruit. 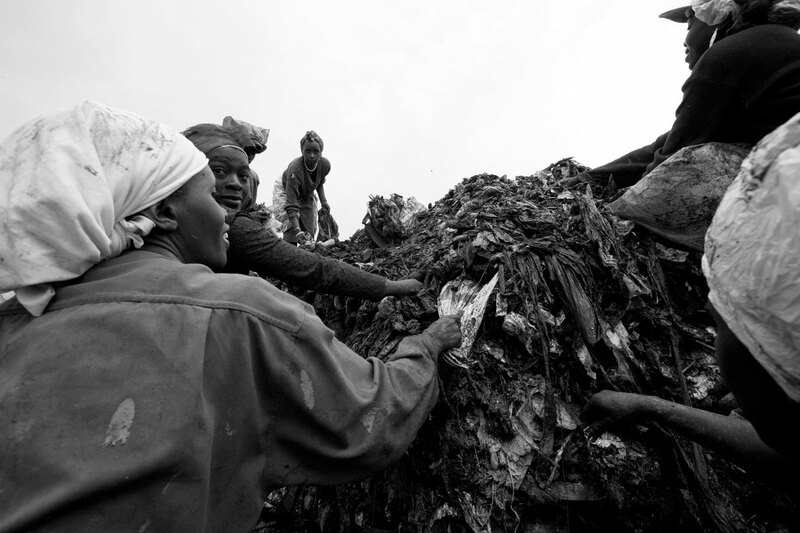 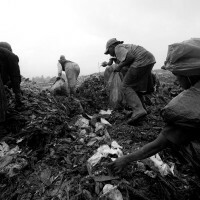 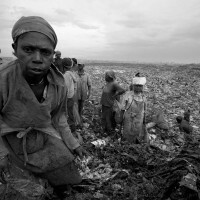 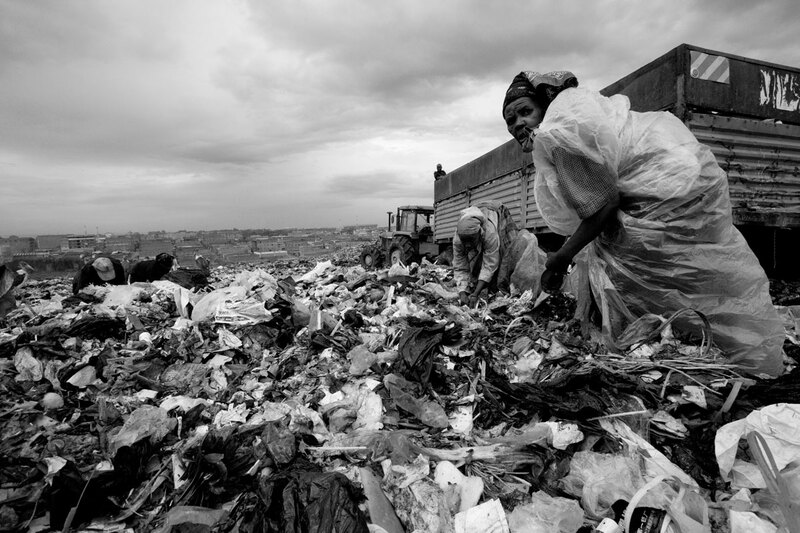 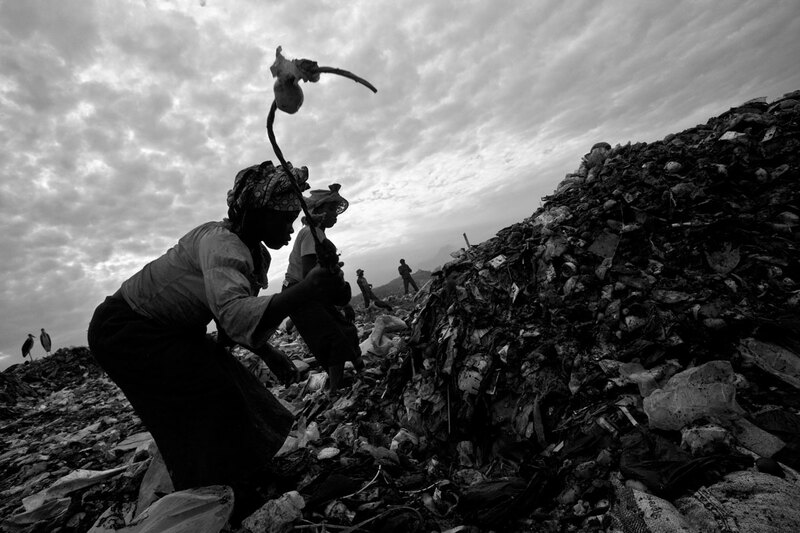 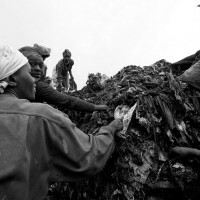 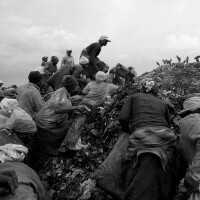 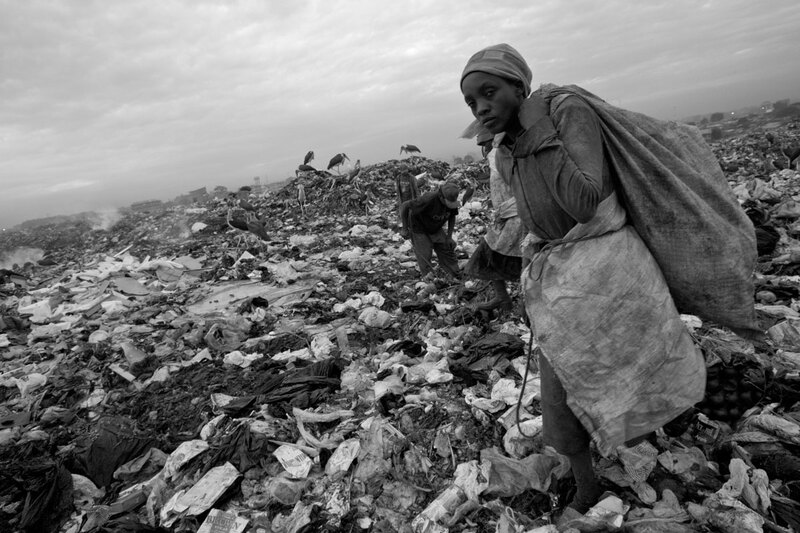 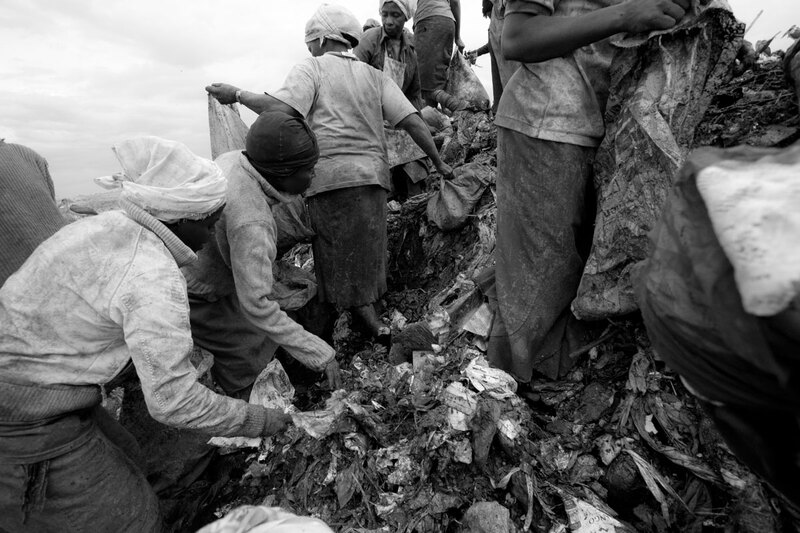 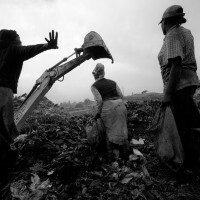 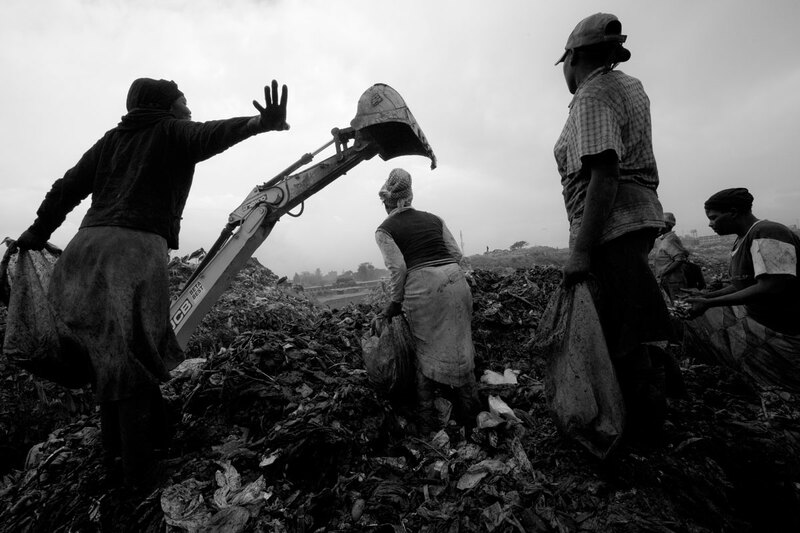 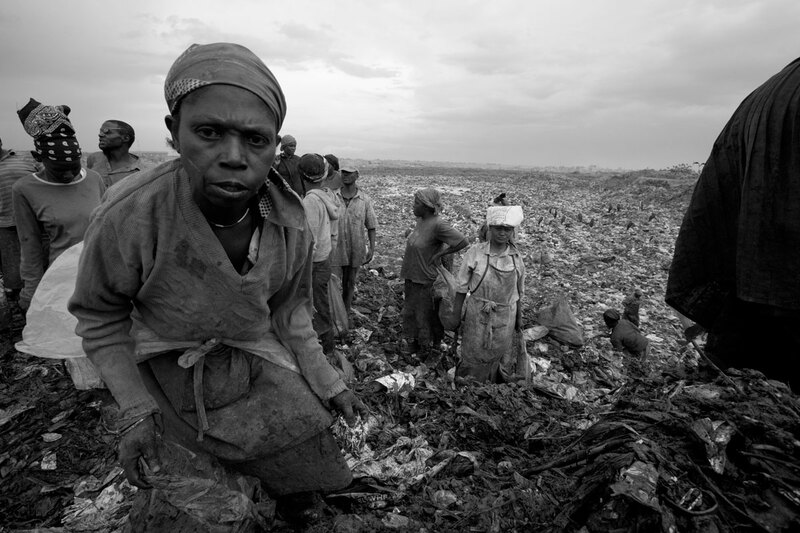 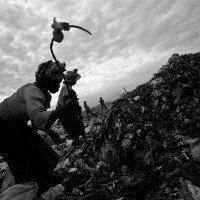 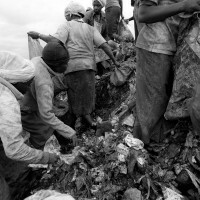 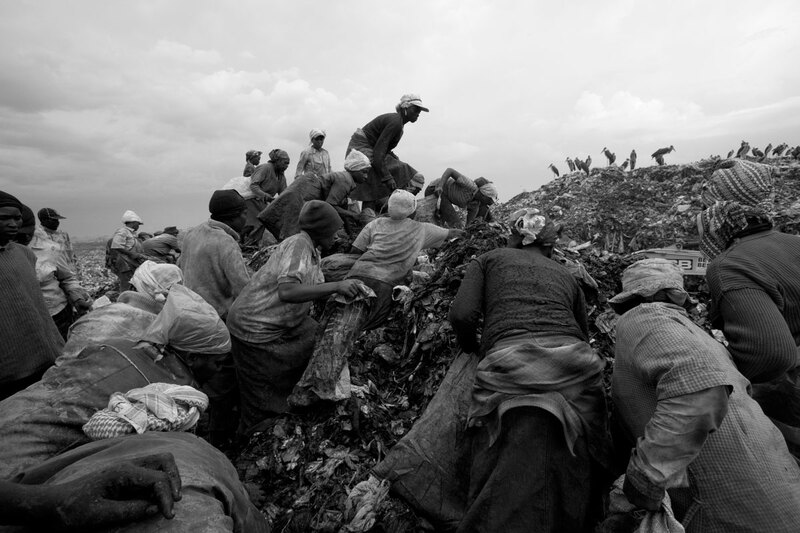 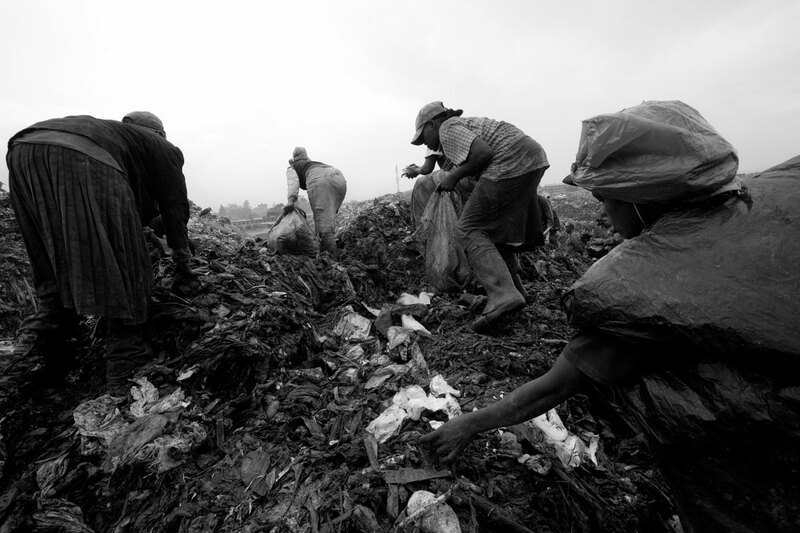 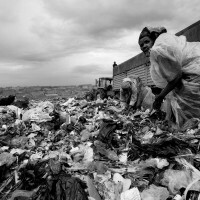 Women in rags rush to the discharging trucks and are submerged by the waste. 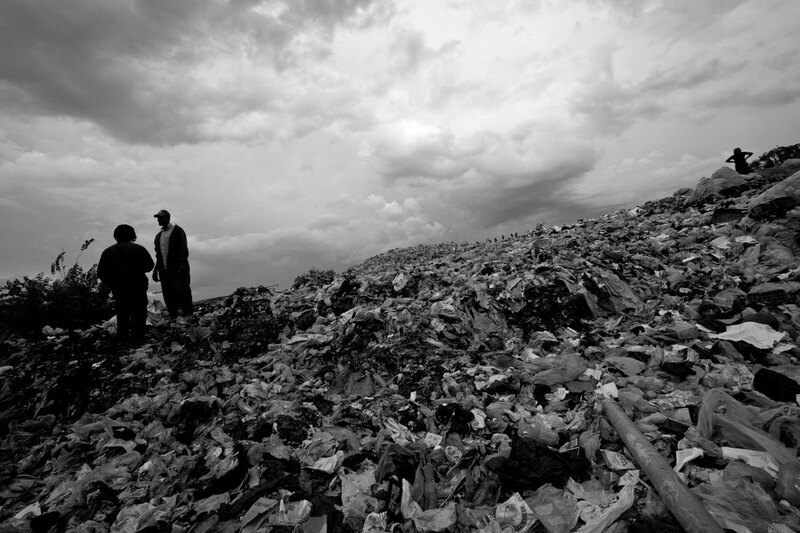 The smell is sickeningly sweet, exuding from burning heaps, fermenting fluids, insect infested meat. 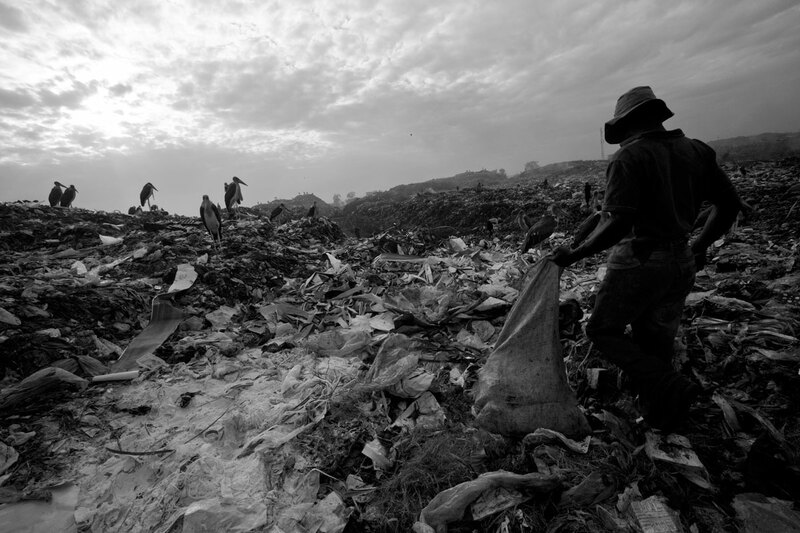 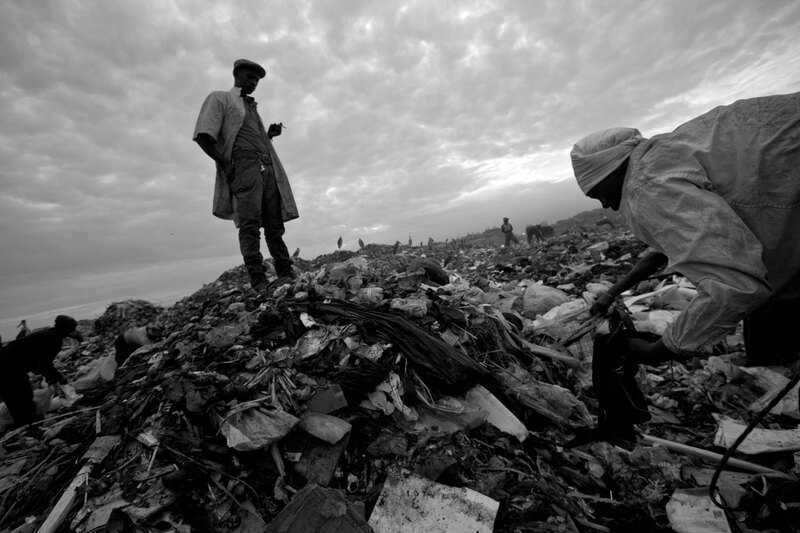 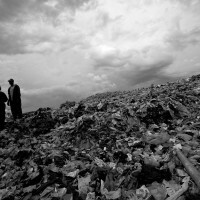 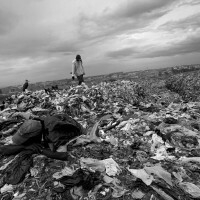 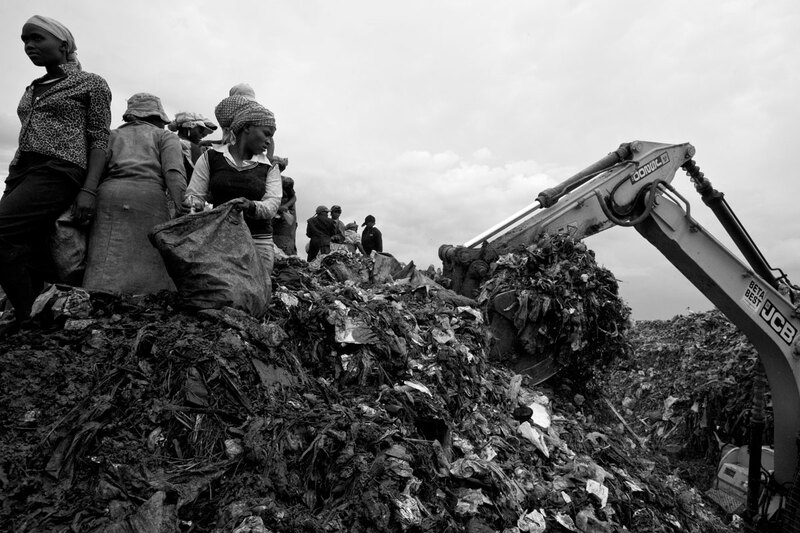 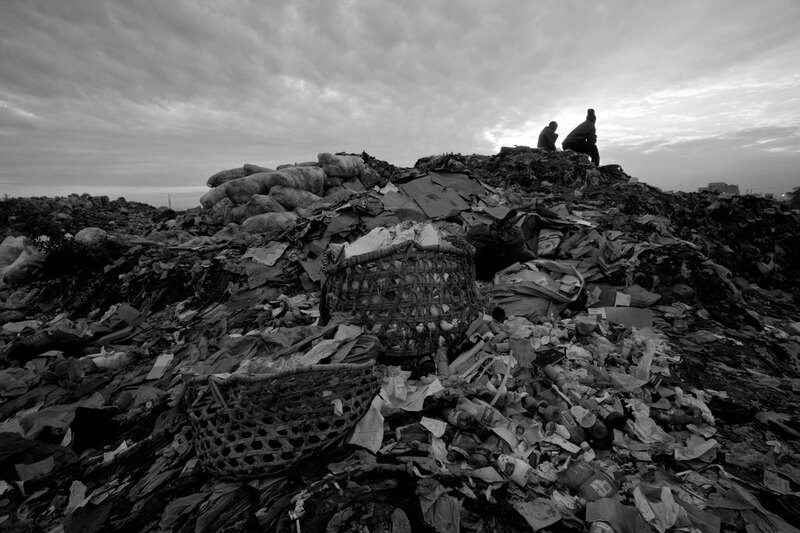 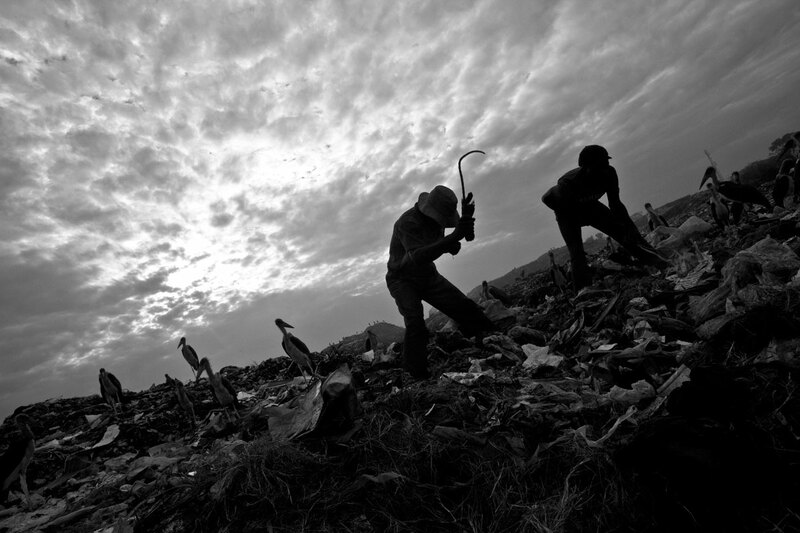 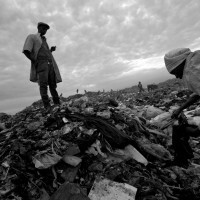 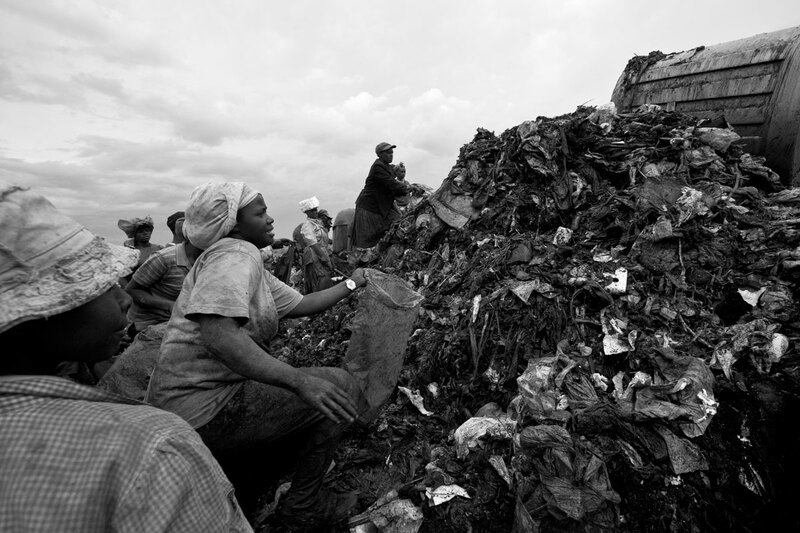 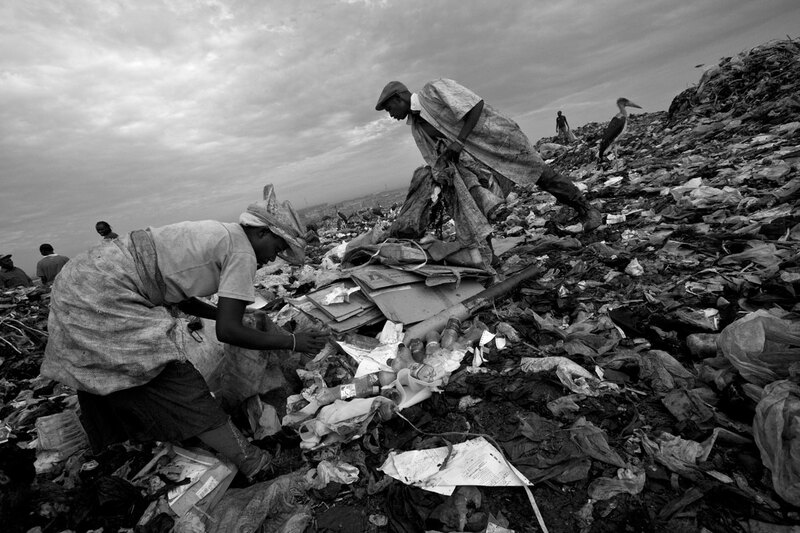 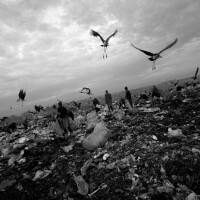 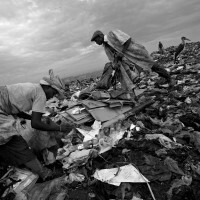 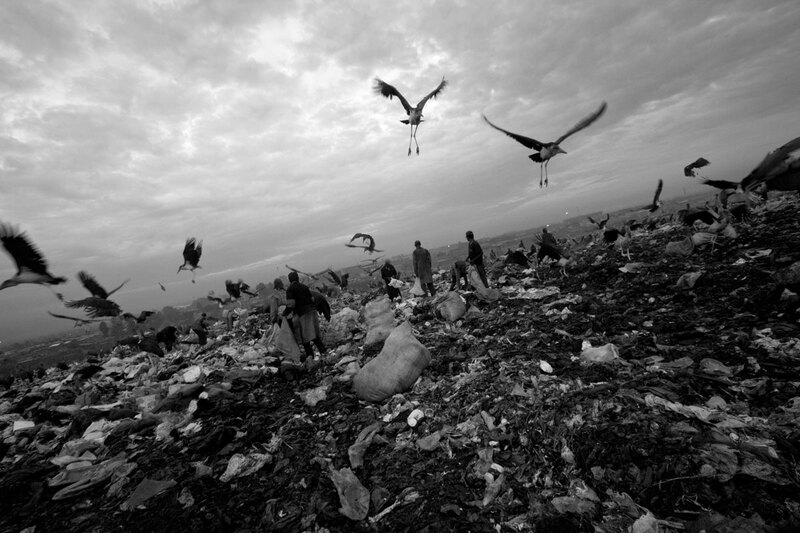 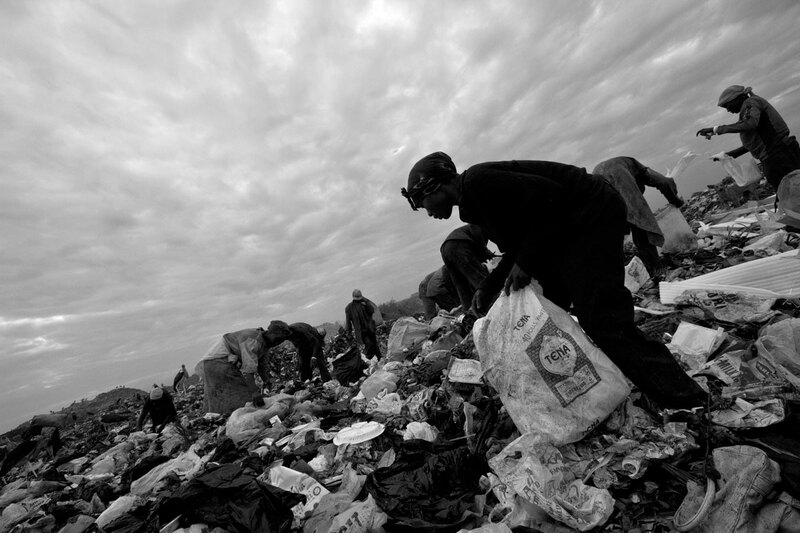 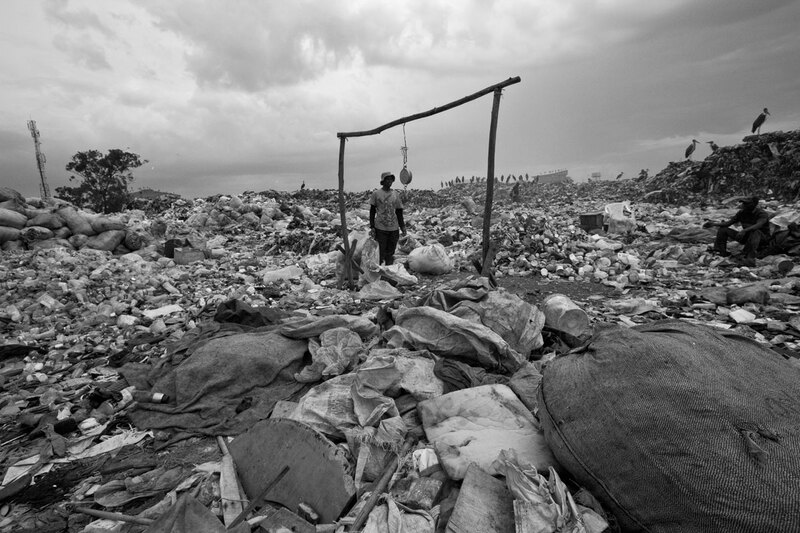 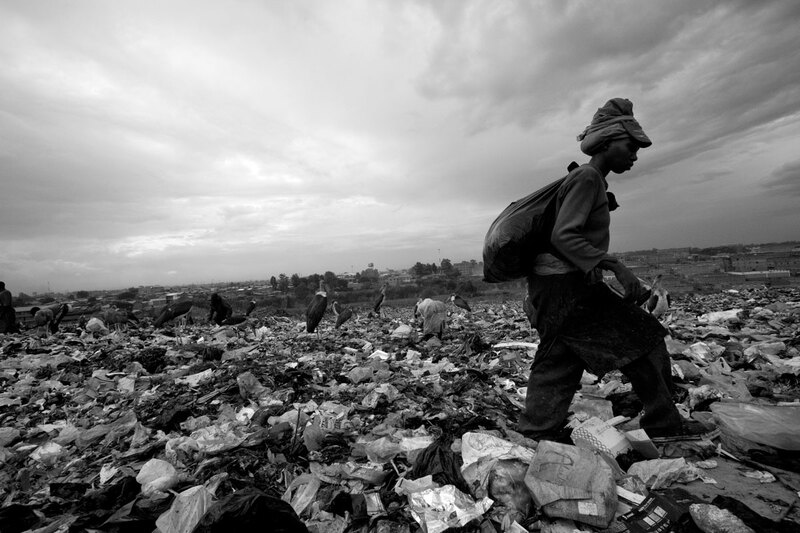 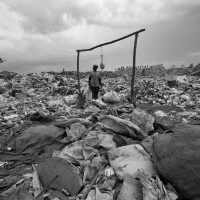 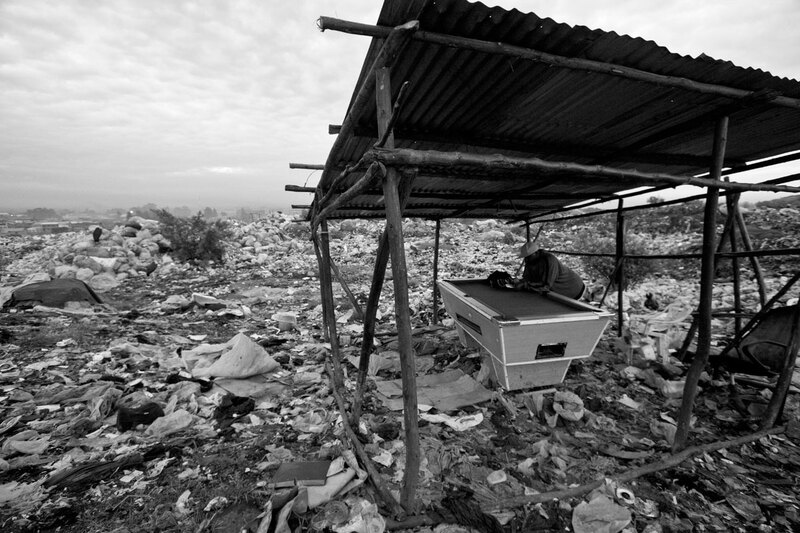 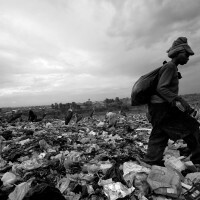 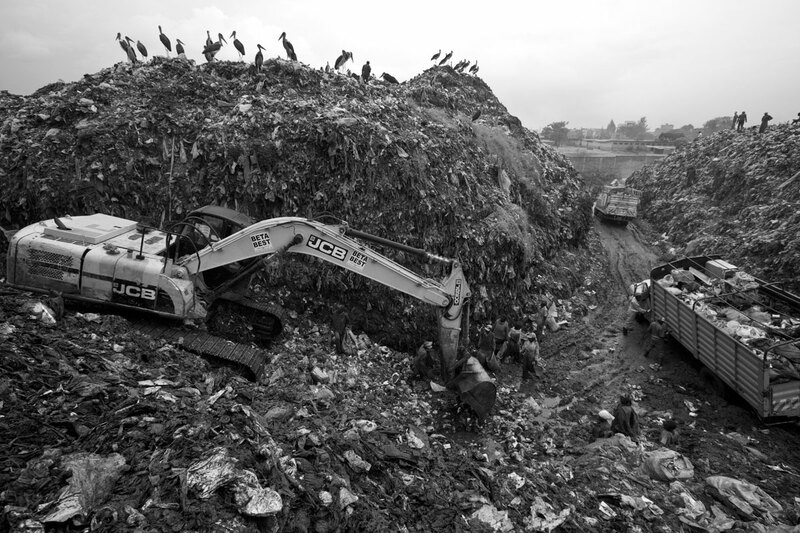 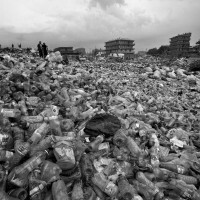 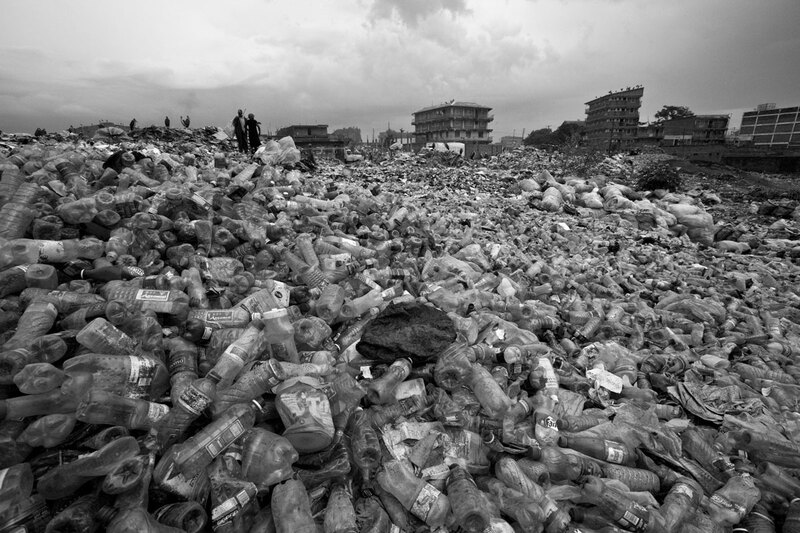 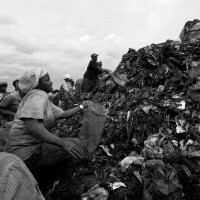 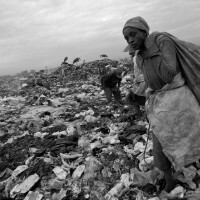 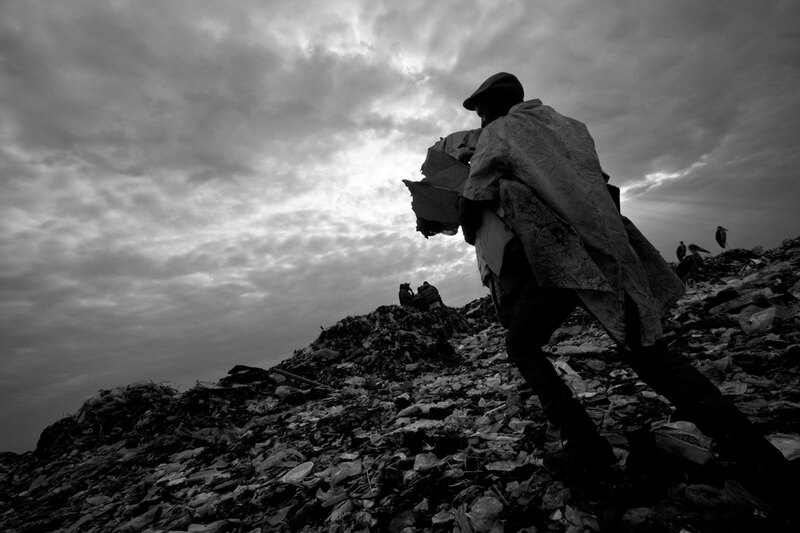 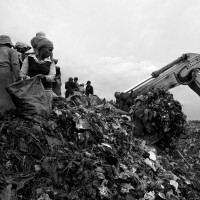 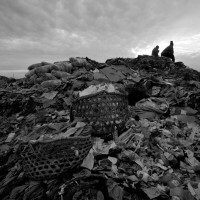 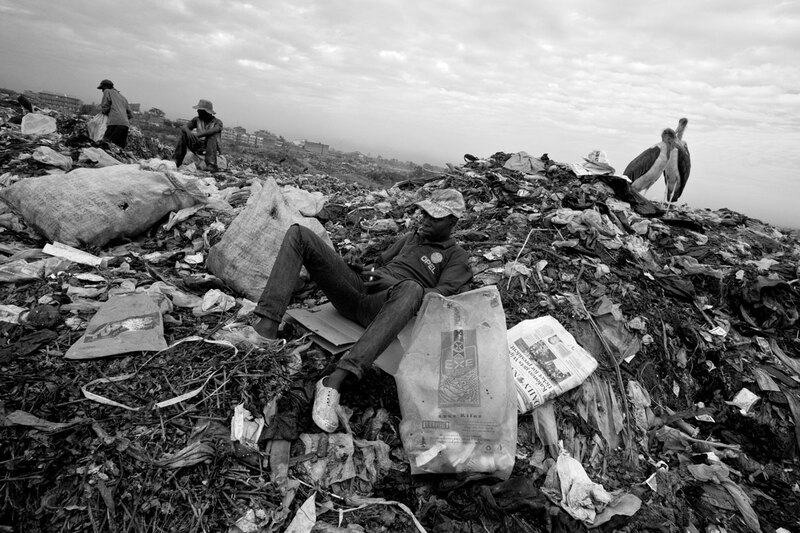 Dandora receives 2,000 tonnes of trash every day, including toxic waste from hospitals and factories. 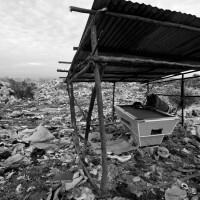 The site, opened in 1975, was declared full and closed by 2001 but continues to operate.